While plenty of high profile companies have been cautiously dipping their toes into VR, Crytek has embraced it with open arms. Chatting to executive producer Elijah Freeman a year ago he told me that Crytek were, first and foremost, pioneers, that the DNA of Crytek was focussed on exploring new technology. Leaning forward conspiratorially, he explained that Crytek had been thinking about stereoscopic rendering since Crysis 2 so they actually had a bit of a head-start on the competition. 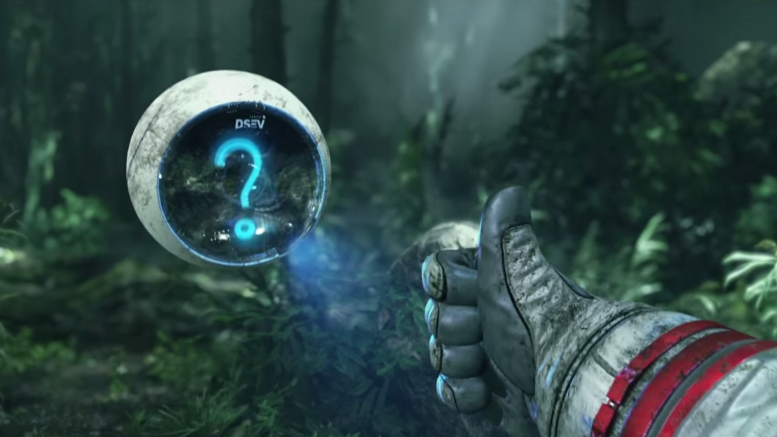 After all, with Crytek's focus on graphical fidelity, why wouldn't they want to work with virtual reality? Since this chat, Crytek has redoubled its efforts, with a VR first initiative announced in January that's dedicated to providing state-of-the-art facilities to anyone interested in exploring virtual reality development, whatever form that takes. Indie developers are benefitting too from a $1 million+ fund set aside to help these small developers working with CRYENGINE. It is releasing their own games too, of course, with several prototypes in development and virtual reality climb-em-up The Climb available to fiddle with on your headset of choice. I catch up with Freeman at a hands on event for the forthcoming PlayStation VR gameRobinson: The Journey to find out what we can expect from Crytek in the near future. "We're going to continue to push the visual fidelity quality bar that we have set with The Climb and Robinson: The Journey" says Freeman. "One area of interest in VR development for Crytek though, is immersive interactive storytelling and we have lots of ideas for ways to make the most of different virtual reality headsets and their attributes." Its rock-climbing game The Climb was one of the first titles to use the Oculus Touch controllers in an exciting way and controllers/room scale tracking are one of the ways developers can create bespoke games and experiences. Crytek has been fairly eclectic with projects so far: The Climb is a sports focussed action game, while Robinson: The Journey is an adventure game where players will need to solve puzzles to progress. Robinson tells the story of a young boy, crashlanded on a dangerous planet. To survive, you're going to need your wits and the help of a robot companion to solve puzzles and avoid dinosaurs. It's an extension of Crytek's VR prototype Back to Dinosaur Island 2, and although the two are independent, they share some similar ideas, particularly those of a dinosaur variety. Robinson: The Journey has Freeman excited though. He told RoadtoVR recently that the game has "rekindled some of the joy he had at the beginning of his 25+ year career that's spanned companies like EA, CCP Games, and now Crytek" and he's enjoying stretching the boundaries. He tells of a time when developers using the Oculus Rift DKI and even the DKII would struggle to understand the technological limitations. "We're learning from scratch," he is happy to admit, "it's like having to work out what we can and can't do." But as each big company throws its hat into the virtual reality ring, platform holders and developers are discovering new ways to take advantage of virtual reality every day. Freeman has worked on both of Crytek's VR games this year, launching a launch title for both the Oculus Rift and the PlayStation VR. Virtual reality is moving faster than nearly anyone can keep up with this year: what is Freeman most excited about? "2016 is the long-fabled year of VR", he says, "the year for exponential growth, the year we get to see how our experiments go down with the consumers. Developers with high quality VR experiences will finally get to see a return on their investment. "At the moment, the VR development environment in games is trending towards projects that have less scope, less budget, than AAA development. I believe that this will shift towards AAA developers creating longer games with more content. I can't wait to play high quality, full-scale productions that will show how impressive virtual reality can really be." While Robinson is planned to launch with the PlayStation VR on 13 October, Freeman is keeping tight-lipped about what comes next, but it's hard not to be a little excited when you're listening to Freeman's enthusiasm for virtual reality as a medium. Could we see them coming back to the PlayStation VR, soon to be the most mainstream headset, for their next project? "For us working with Sony has been a good experience and we're glad that we partnered with them for Robinson. The success of our first PSVR game is obviously going to have an influence on what we will be doing next."